Who better to care for your eyes in an emergency than an optician? Every day, patients book appointments to see their GPs because they’re suffering from a minor eye condition such as a scratch or infection. However, while doctors can help, optometrists specialise in dealing with the eyes and will often collaborate with your GP. At Evans & Hughes we offer emergency appointments every day for those who need medical attention for eye problems. Our opticians are each trained to thoroughly examine the eyes before diagnosing any problems and providing the necessary treatment. In many cases these emergencies can be managed by our team of optometrists but occasionally we have to refer for further investigation. 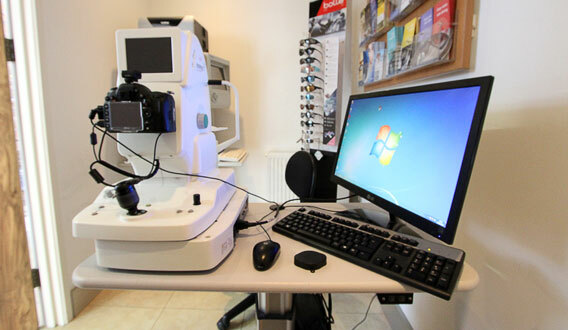 Our optometrists are WECS accredited which allows us to provide free emergency eye care. You can either self-refer onto this scheme in an emergency or be directed by your GP/Pharmacist. Outside of our practice hours please call 111 or contact your local accident and emergency department should you ever experience an eye-related problem.